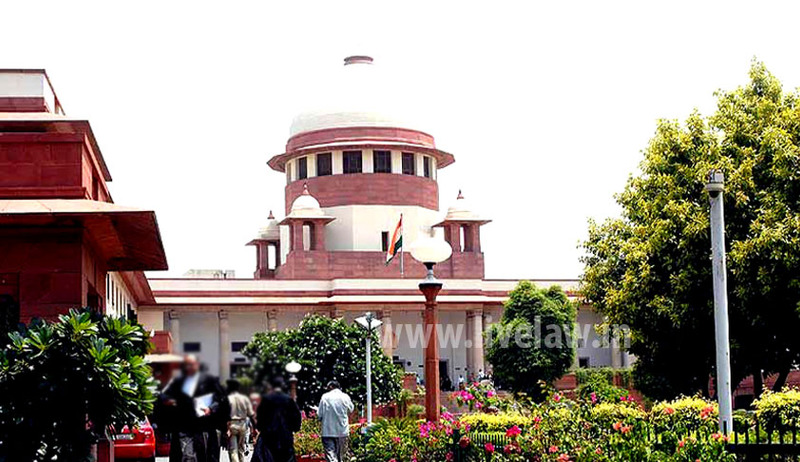 The Apex Court yesterday questioned the logic behind new liquor policy of the Government of Kerala for limiting bar licenses to only 5-star hotels as part of a move to implement total prohibition in the State in 10 years and agreed to examine it. A bench of justices A R Dave and U U Lalit agreed to grant an urgent hearing on a plea of aggrieved owners of hotels and posted the case for today. It asked the state government not to take any coercive step against them as the bars were directed to close from September 12th. According to the government's plans, state-run liquor stores will be phased out at a rate of 10 per cent a year for the next decade, leaving a big hole in the state coffers after alcohol taxes and fees generated more than $1 billion (around Rs. 6,000 crore) in the 2012-13 financial year. Bar owners who have taken the government to court say if there is an alcohol ban, tourists will start opting for other regional destinations - perhaps the beaches of nearby Goa or Sri Lanka. A recent survey from travel portal HolidayIQ.com, which polled 5,000 Indians, showed 58 percent of the respondents will change their travel plans because of the new no-boozing policy. "There is no logic. What do you mean sub-standard? I am a teetotaller, but even I see no logic... how do you distinguish here?" Justice Anil R. Dave asked the State government. The policy is scheduled to be implemented from September 12. Meanwhile, a Division Bench of the Kerala High Court has agreed to hear the affected bar owners against the policy on September 18. Bar owners approached the Supreme Court to stay the implementation of the policy till the High Court decides on its legality. In an urgent mentioning to stop the State from enforcing the liquor policy from Friday, a battery of senior counsel for the bar owners termed the policy "discriminatory". Appearing for the State, senior advocate KapilSibal countered that bar owners' right to sell liquor is not a fundamental right. He said this step was taken as part of a policy decision. Mr. Sibal said the bar licences can be cancelled at any time. A bunch of top lawyers including senior advocates Fali S Nariman, Ram Jethmalani, Rajeev Dhawan, C S Sunderam and Arvind Dattar, appearing for various hotels, made a strong plea to the court to stay the policy, saying it is discriminatory in nature. Senior advocate Rajiv Dhavan,submitted that till now there was no such distinction in grant of bar licences among three, four and five-star hotels. He said the owners should be permitted to operate their licences for the entire period of its validity till March 31, 2015. "What are they trying to attain? Prohibition? Five-star hotels, toddy shops will all function... only certain establishments will be cut off," senior advocate AryamanSundaram, a counsel for bar owners, submitted before the Bench. On September 2, Congress leader and former Minister of State for Human Resource Development and External Affairs Shashi Tharoor said that while the alcohol ban in Kerala is a popular decision taken by the OommenChandy Government, the loss of revenue must be seriously considered by the state government. Tharoor said, "I think it's a popular decision, and in a democracy, the government will always do what the public wants. But the truth is, despite it being a popular decision, there are some issues that have to be considered, particularly the loss of revenue for the state government and the implications of that for the state." Tharoor stated that while the excise revenue on alcohol would fall sharply, even tourism may take a severe hit. "With a tremendous 22 percent of the government revenue coming in through excise on alcohol, which would no longer be available, plus a severe hit to the revenue from tourism, which is another major source of the state government's budget, the question is how would Kerala be able to maintain its excellent record of social services and social development indicators?" Tharoor questioned. Kerala has the highest per capita consumption of alcohol in the country and experts feel that the state will incur an annual loss of Rs 8000 - 9000 crore due to the ban.